Blue Gel nail polish. Selection of blue gel nail polishes that cure under a UV or LED lamp. Blue Shellac or Creative Play UV. Nails about blue sky, ocean, turquoise or dark glacial blue for winter. 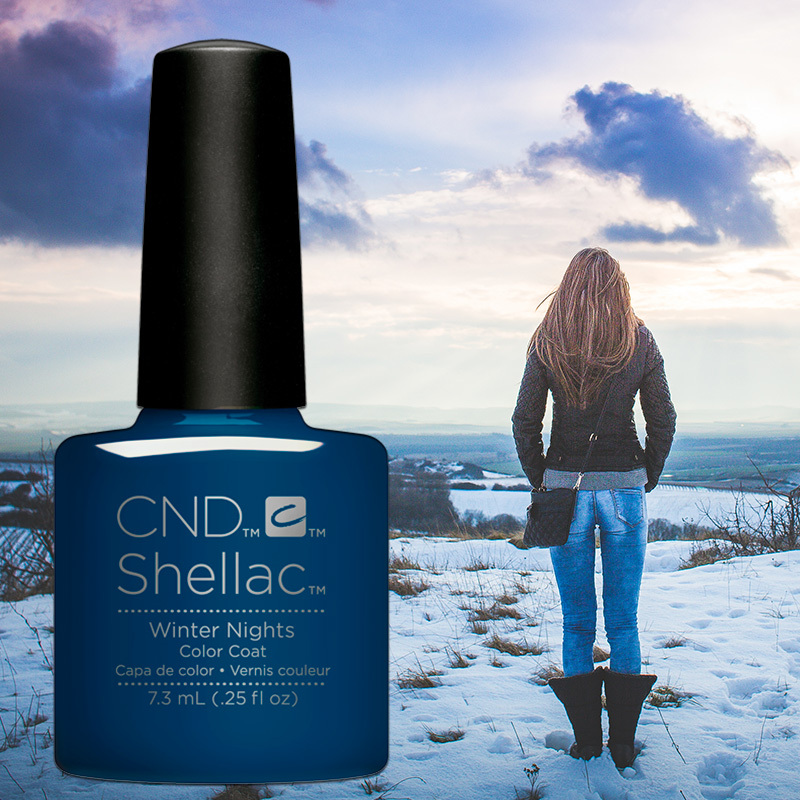 Shellac UV polish in color Winter Nights is a UV nail polish that last over 14 days. Opaque color. The brush is flat for an easier application. Gelish UV gel polish in color Olé my Way.Matadora Collection - Fall 2017 UV gel polish lasting up to 3 weeks. Shellac UV polish in color Viridian Veil is a UV nail polish that last over 14 days. Opaque color. The brush is flat for an easier application. Nightspell Collection. Shellac UV polish color Shimmering Shores is a UV nail polish that last over 14 days. Collection for Summer 2017. The color is opaque. The brush is flat for an easier application. Shellac UV polish color Blue Eyeshadow is a UV nail polish that last over 14 days. Collection for Spring 2017. The color is opaque. The brush is flat for an easier application. Shellac UV polish in color Starry Sapphire is a UV nail polish that last over 14 days. Collection Starstruck for Winter 2016. The color is opaque with glitters. The brush is flat for an easier application. Shellac UV polish in pink/blue color Patina Buckel is a UV nail polish that last over 14 days. Collection Craft Culture for Fall 2016. The color is opaque. The brush is flat for an easier application. Shellac UV polish in blue color Denim Patch is a UV nail polish that last over 14 days. Collection Craft Culture for Fall 2016. The color is opaque. The brush is flat for an easier application. 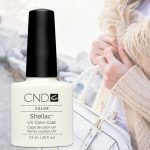 CND Shellac polish in color Aqua-Intance blue is a UV nail polish that last over 14 days. Collection Flirtation for Spring 2016. The color is opaque. The brush is flat for an easier application. Shellac UV Polish Digi-Teal blue is a UV nail polish that last over 14 days. Art Vandal collection. The color is opaque. The brush is flat for an easier application. 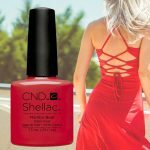 Shellac UV Polish Glacial Mist blue is a UV nail polish that last over 14 days. Aurora Collection Winter 2015-2016. The color is opaque. The brush is flat for an easier application. Shellac UV Polish Peacock Plume blue is a UV nail polish that last over 14 days. Contradictions Collection. The color is opaque. The brush is flat for an easier application. Shellac Creekside blue is a UV nail polish that last over 14 days. The bottle color fits perfectly with the color once the nails are painted. The color is opaque and is part of the Fauna & Flora Collection. The brush is flat for an easier application.